Shisha smoking has become one of the most common trends among youths and adults today. Shisha is sometimes called hookah, or narghile. The act is referred to as shisha, hookah, waterpipe, or hubble bubble smoking. This article discusses the health effects of smoking shisha. This type of smoking involves smoking tobacco, sometimes mixed with fruit or molasses of sugar, from a bowl, with a hose or tube. Hookahs are basically water pipes that are used to smoke flavored tobacco, the herbal tobacco is known as shisha. A modern hookah features are as follows: has a head (with holes in the bottom), a metal body, a water bowl, and a flexible hose with a mouthpiece. It normally comes in different flavors, such as orange, apple, minty, cherry, chocolate, pineapple, coconut, licorice, cappuccino, and watermelon flavors. Although many people who smoke shisha think it is less harmful, Shisha smoking has most of the same health risks associated with cigarette smoking. This article will help you to understand the health effects of smoking shisha. The shisha health effects are a must-know to everyone. You will soon find out some health facts about shisha smoking. We will answer some crucial questions like is shisha smoking bad for you? Is shisha smoking as bad cigarette smoking? Let’s go. 1. Hookah began many centuries ago in Persia. Its origin has been traced to some parts of Asia, specifically in Iran, South Asia, and Middle Eastern countries. Their hookahs are traditionally used to smoke tobacco products but is becoming increasingly popular among youth all over the world. Now its use is now roughly equal to the same amount of cigarettes smokers. 2. Shisha smoking typically lasts about an hour, that is much longer than the 5-10 minutes it takes to smoke a cigarette. 3. A recent survey of more than 100,000 students from 152 colleges and universities in the United States. It found out that current waterpipe smoking was reported by 8.4% of students, second only to cigarette smoking. 4. There has a technological advancement in hookah smoking. Some new kinds called electronic hookah smoking; they include steam stones and hookah pens. However, very little medical research has been done regarding these electronic hookah smoking. 5. Medical research studies about tobacco-based shisha and herbal shisha have shown that the smoke from both mixtures contains carbon monoxide and many other toxic agents that raise the risks for cancers, heart disease, and lung disease. 6. A lot of people believe the smoke from a hookah is less harmful to the body compared to cigarette smoke. They believe that the water filters out the toxins. That is not true. Water does not filter out any of the toxins, it just cools and moisturizes the smoke, and this makes it feel less harsh to your lungs. The shisha health effects are discussed below; they are based on strong scientific findings and reputable medical research. Hookah has been associated with severe health effects, complications and infectious disease. 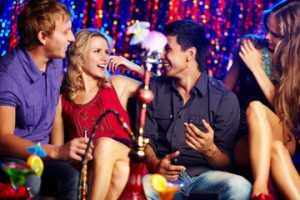 Most shisha smokers are more likely to contract infectious diseases, since they usually all share one mouthpiece during a hookah session, especially at a club. When a group of people shares a hookah, the risk of spreading infectious diseases raises — infectious diseases like oral herpes, tuberculosis, hepatitis, influenza, and H. pylori. Making use of a personal disposable mouthpiece might decrease this health risk, but that does not eliminate it. When charcoal is used to heat the shisha, it raises the health risks by producing high levels of toxic contents such as carbon monoxide, metals, and many cancer-causing chemicals. This shows that hookah smoke contains multiple toxic chemicals. Like I mentioned earlier, after it has passed through water, the smoke from a hookah still has high levels of these toxic agents. Shisha and hookah smoke contain several toxic agents known to cause various types of cancers, such as lung, bladder, and oral cancers. Additionally, some shisha juices and flavorings from hookahs can cause irritations to the mouth and increase the risk of developing oral cancers. There is also a reported relationship between shisha smoking and pregnancy. A medical study found out that babies born to women who smoked hookahs every day during their pregnancy weigh less at birth than babies born to nonsmokers. Furthermore, babies born to hookah smokers are also at increased risk for respiratory diseases. Second-hand smoke from hookahs and shisha smoking contains notable traces of carbon monoxide, aldehydes, PAHs, ultrafine particles, and other toxic particles tiny enough to enter the lungs. 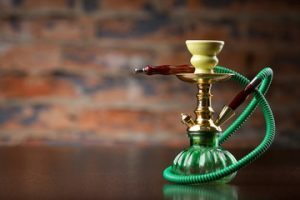 There have been no medical studies which have been done on the long-term health effects of exposure to secondhand shisha smoke. Nonetheless, short term health effects of hookah smoke may lead to respiratory problems like wheezing, nasal congestion, and chronic cough. Carbon monoxide in hookah smoke binds with the hemoglobin in the blood to form carboxyhemoglobin. Carboxyhemoglobin then reduces the amount of oxygen that is sent to the organs. When there is low oxygen supply to the brain, a hospital emergency may arise. The symptoms of Carbon monoxide poisoning include a headache, nausea, fatigue, and fainting. This occurence is referred to as ‘hookah sickness’. Numerous evidence have shown that shisha has a lot of serious health effects. Smoking hookah is associated with an increased risk of lung cancers, digestive problems. It also leads pulmonary diseases like destabilizing pulmonary function, chronic bronchitis, and emphysema. Other diseases associated with long-term shisha health effects include coronary artery disease, periodontal disease, obstetrical and perinatal problems, larynx and voice changes, and osteoporosis. People who smoke hookahs and shisha also inhale nicotine, which you know is an addictive chemical. Normally, a hookah smoking session that lasts an hour will give you nearly two times the nicotine dose of one cigarette. Frequent hookah users and shisha smokers, have strong urges to smoke and show others withdrawal symptoms if they have not smoked for some time, and it can be very difficult to quit. Is shisha smoking bad for your health? From what you have learned today about the facts about shisha smoking and the health effects of smoking shisha, you can agree that shisha is definitely bad for your health. Shisha complicates the lung function. It causes respiratory diseases like chronic obstructive pulmonary disease (COPD) and bronchitis. Hookah use elevates the risk of heart problems, such as heart disease and heart attack. Hookah smoking leads to high risk of cancer, especially lung, and mouth cancer. 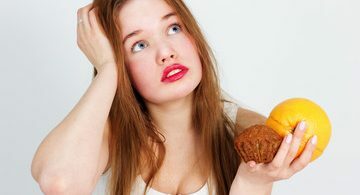 It also elevates the risk of contracting infectious diseases, like mononucleosis and oral herpes. Hence, shisha or hookah smoking is bad for your health and well-being. Is shisha safer than cigarette smoking? Many people have wondered if shisha is better than cigarettes. The answer is no, in fact, it might be even worse than cigarette smoking. Hookah smoke still contains nicotine, the popular highly addictive substance. Smoke from hookah also needs charcoal to be burnt, which creates smokes that can be just as toxic as cigarette smoke. Another reason why shisha is not better than cigarettes is that the amount of smoke inhaled during a normal hookah session (that lasts for an hour) is about 90,000 milliliters (ml). While about 500–600 ml of smoke is inhaled when smoking a cigarette. The health effects shisha are still being researched, but what we know so far has shown that shisha is bad for our health.